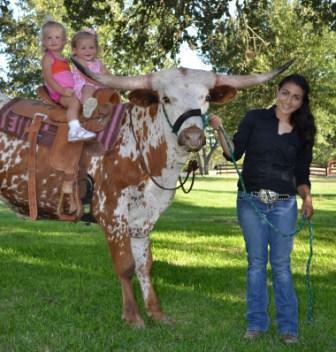 You have the choice of which steer(s) you would like to visit your event. With each riding steer comes at least one handler who knows the steers well and spent a lot of time riding them. 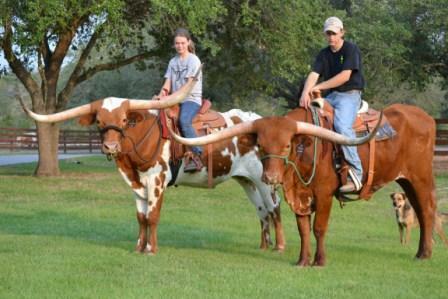 They will bring a portable step and help assist your family and guests in riding a beautiful Longhorn steer.